Wanted to get this in as an official request. In addition to detecting transients and inserting slices, I would love to see the ability to automatically slice a loop into 4, 8, 16, 32, or 64 equal slices. Here is a proof of concept video illustrating the reason I want to be able to do this. 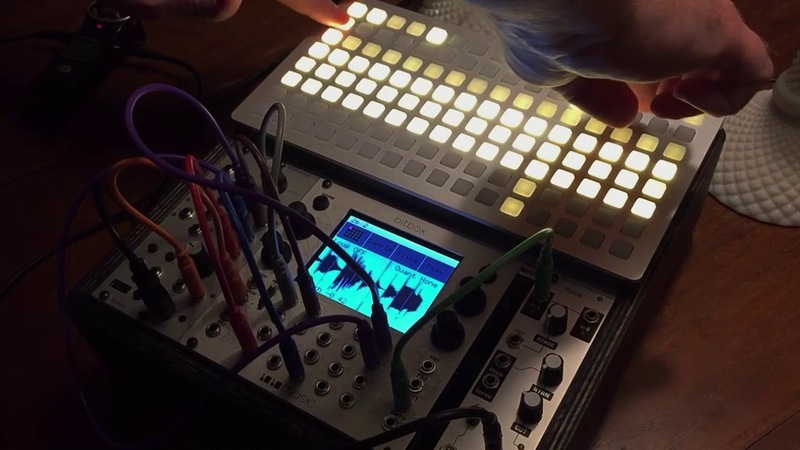 Then I will, in effect, have a eurorack version of monome's mlr patch using bitbox and monome white whale. Pretty please? Thanks for the idea. We will keep in mind for future updates. Adding my voice to the chorus. For me personally, i'd love to see this as an option under the Scan menu (attached... like you didn't know where it was... ). Instead of where it says Scan, you could have a drop down to either select Scan as we know it today, or give you the option to slice into equal parts as above for a starting point.The math should be a piece of cake, just "how many beats long is this and how small should I cut it?" should be all you'd need to ask the user. Apart from that, Thank you so much for releasing this sampler. The BitBox is the only reason I got into Eurorack synths and there's not likely to be any turning back now. Thanks! Agreed on this 100%, especially for those of us who pre-prepare our samples in something like Sound Forge or Wavelab. The advantage being that we can time them all up fast and very accurately to the beat and leave BitBox to cut them up smack on the nose to the beat. There is a function in Soundforge 10 that does this and is very effective and creatively quick.